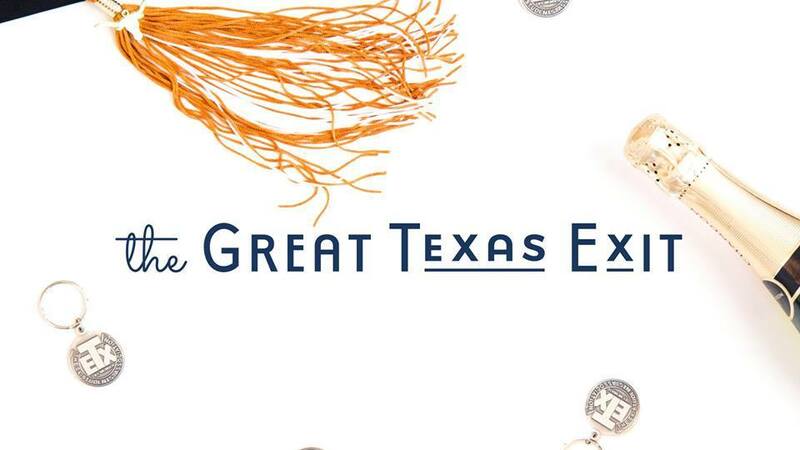 Kick off graduation weekend at the Great Texas Exit, a casual, Texas-sized celebration hosted by the Texas Exes. The event is Saturday, May 19, 2018 from 3 – 7 p.m. in the Etter-Harbin Alumni Center. Conveniently scheduled before the university-wide commencement ceremony at 8 p.m., the Great Texas Exit is the perfect way to kick off your celebration! There will be food trucks, music, champagne, photobooths, Bevo, Hook ‘Em and Smokey the Cannon! Plus, everyone receives a voucher for two free drinks at the event. For more information, please visit the Facebook event or the Texas Exes website.